An article on an annual border security expo for the so-called US “border-industrial complex” over at the London Guardian starts off by featuring spy rocks. Yes. Exactly as it sounds. Fake rocks with tiny cameras inside. If it sounds like a lame episode of Inspector Gadget, that’s because it is like that, only this is real life, modern day Surveillance State USA. There were a couple of rocks on Carmi Peleg’s table, next to a small drone, but he did not really want to talk about them. Of course, they weren’t really rocks, but spy cameras, because this was the Border Security Expo, a surreal annual trade fair where surveillance companies flirt with US government officials in hopes of cashing in on the border technology bonanza. 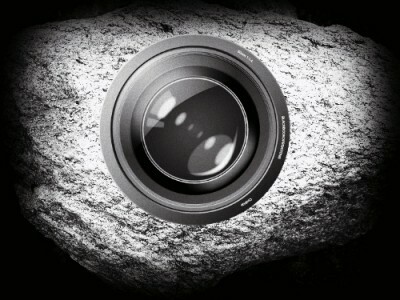 “They use [them] in police departments in the US,” Peleg said of his rock-cameras. “A lot of stuff. But that’s the only thing I can tell,” he said. His company – innoBots – also sells drones and robots that fit inside backpacks. Freaking SPY ROCKS. (Sorry, I’m still not over it.) No wonder Peleg didn’t want to talk about the fact that he works for a company that actually makes and supplies spy rocks for American police departments. What a job. What an existence. Does it sound like legal and privacy issues are being “raised” to you? More like laws and privacy are being straight up violated. But is anyone actually doing anything about it? No. We’re all used to it now. Edward Snowden’s repeated revelations have killed any real outrage. We’re acclimated. Accustomed. Hell, we live in a country where We the People are so spied upon every moment that our law enforcement agencies have deployed everything from drones to actual, literal spy rocks against us. Spy rocks, ladies and gentlemen. That’s the level we are at here in Amerika with a “k”. Spy rocks. Insert lame but fitting joke here about how they’ve left no stone unturned in the quest for total police state tyranny (wah wah waaaaaah). By the way, did they have spy rocks in George Orwell’s 1984, you know, the fiction novel which is clearly being used in this country as an instruction manual?